Loading clubs and unloading shafts is quick and easy with the speed handle. Rubber coated pads ensure shafts are not damaged. 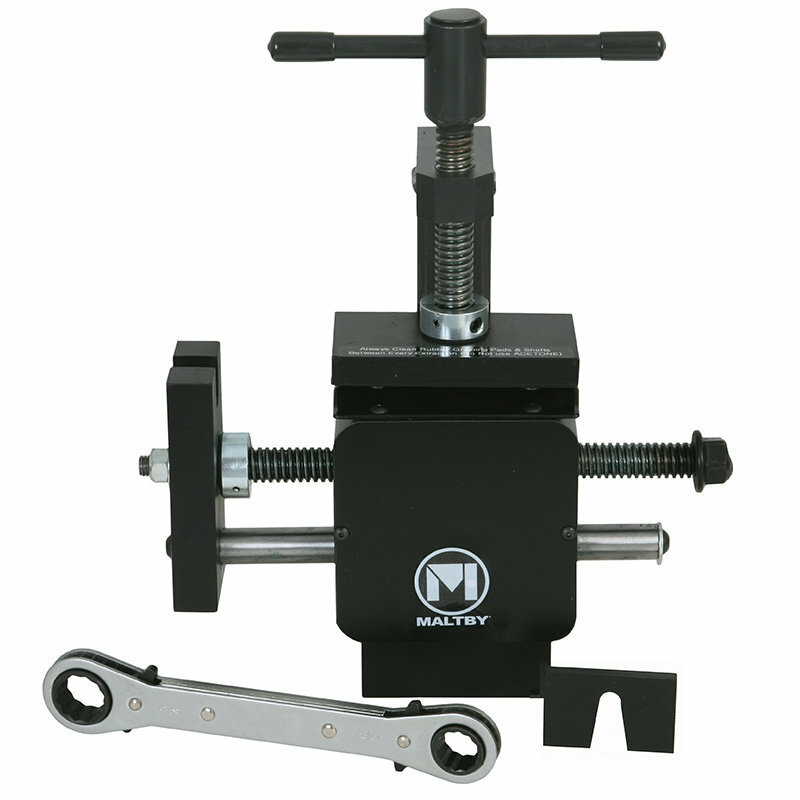 Pressure is applied using a ratchet box wrench to turn the threaded rod – the shaft is not twisted. Vise mounted for stability.